Made by Gogo Dance Shoes. Features a new open toe style for day or night.The white lace overlay and silver pastille glitter blends vintage and modern. This shoe is the subtle wow factor to any outfit. New for 2012 AVAILABLE NOW!! New contoured 1.3" Heel, Cushioned inner sole for comfort. Suede ballroom outer sole for all types of ballroom dancing. Comes with a FREE carry bag. 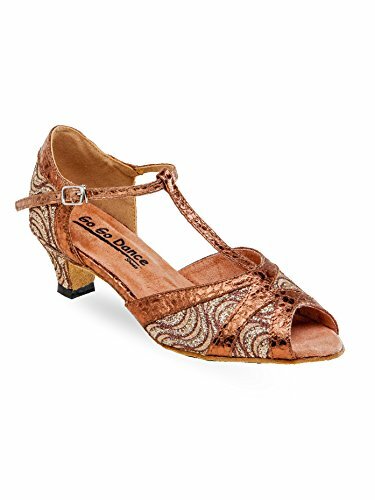 Price: $59.95 Ladies USA Sizes: 4.5 to 10 Whole and Half sizes Medium Width Heel: 1.3" Color: Tan Satin SUGGESTED FIT: Manufacturer suggests ordering your regular USA street shoe size. GoGo Dance Shoes Collection features a new open toe style for day or night. This shoe features subtle side cutouts at the toe box. In addition, the cross strap lends both support and style. Lastly, this style is dusted with fine silver glitter and finished with a sophisticated silver leather trim. 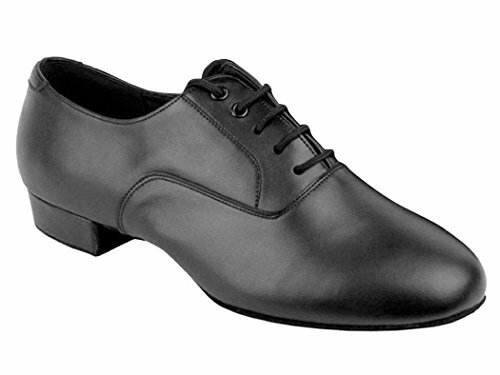 Go Go Dance Shoes Men's Black Leather Ballroom Shoes. Men Order Your USA Street Shoe Size. Butter soft leather upper with a sleek design. Inner sole cushion with a 1" basic heel. Sueded ballroom sole for non slip slide and flexibility. 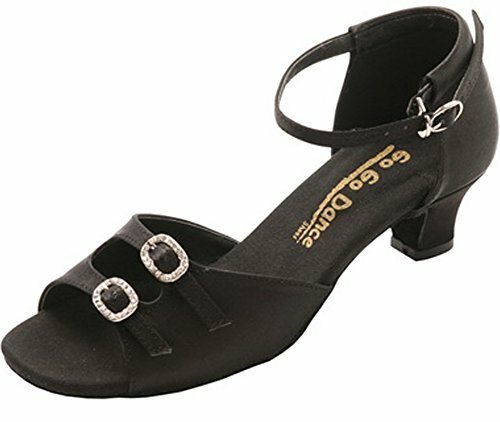 A great shoe for Latin, Salsa or any type of dancing. GO1001 / 2.5" Dark Tan Satin/Glitter in 2.5" Heel. Powered by Stephanie Dance Shoes, new elegant design. It's supple padding offers comfort and fashion all in one. GoGo Dance Shoes Collection features a new open toe style for day or night. The front of the shoe is created with supple metallic leather folded into an asymmetrical bow. The cross strap secures the foot and adds a hint of style.